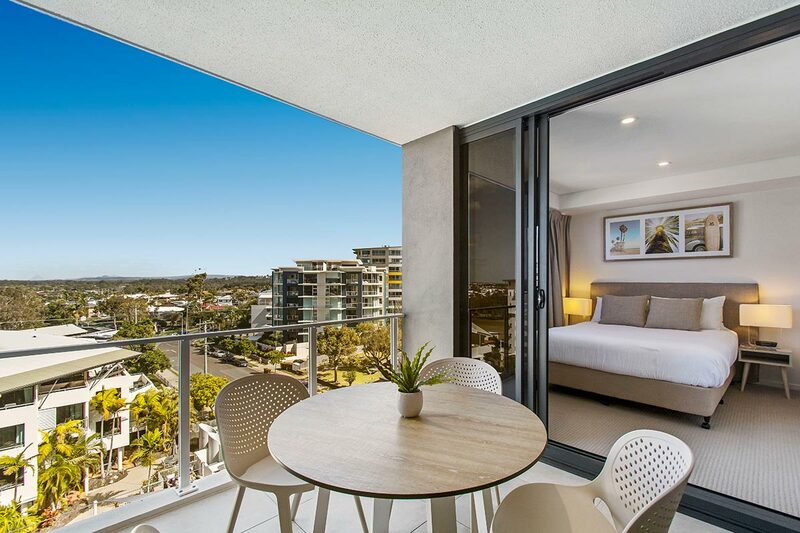 You’ll love staying here at Breeze, Mooloolaba luxury hotel. It’s everything a Sunshine Coast resort should be and more. 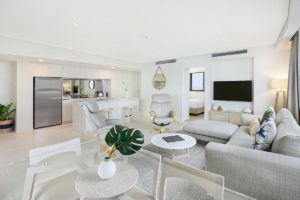 As one of Mooloolaba’s newest resorts, Breeze is different. It’s bold and adventurous design marks a new era in the kind of luxury accommodation available for the discerning holidaymaker. Breeze is fully self contained apartment accommodation with one, two and three bedroom options, the perfect romantic hideaway, family retreat, or dinner party destination. 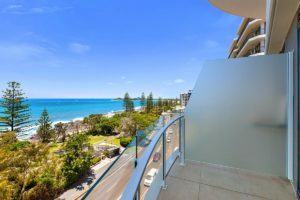 Located in the heart of Mooloolaba, The Breeze is one of the most stunning resorts on the Sunshine Coast. With it’s central location that is close to Alex Headlands and the HMAS Brisbane Lookout, where better to start your holiday than less than a kilometre north at the Alex Headland , especially if you are a keen surfer. Experienced practitioners of the craft will enjoy the challenge of riding the waves around the Alex. Newcomers to surfing will find gentler surf on Mooloolaba Beach. Absolute beginners can choose from a range of surf schools on Mooloolaba, Maroochydore or even Alex if you want to jump into the deep end. 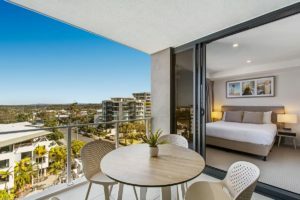 Breeze Mooloolaba creates a strong first impression. Even before you get inside you’ll be dazzled by the distinctive and stylish architecture. The unique footprint of each level is a testament of style and engineering. The sinewy curves of each floor doesn’t just provide Mooloolaba with another resort that just looks like a resort. This is the real deal. Form, function and vision have been fused, with each floor allocated an optimal amount of balcony area, along with fairness to sunshine and light for everyone, above and below. Everyone sees the light. Breeze, Mooloolaba luxury hotel is where you’ll feel right at home living like royalty. What could be better. Book now.